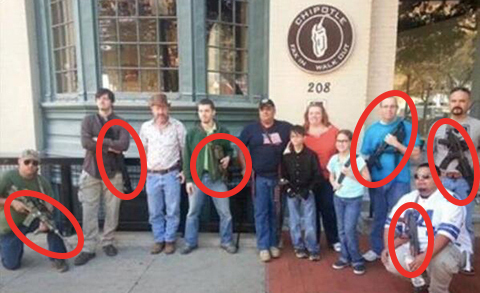 UPDATE: Chipotle has issued a statement asking customers not to bring guns into their stores. Thank them on Facebook or Twitter now. Gun extremists flooded into a Dallas-area Chipotle this weekend, alarming customers and raising serious questions about public safety throughout the chain restaurant's 1,600 locations. When asked about their corporate policy on guns in stores, a spokesperson said, "We follow all local laws and plan to continue to do so" -- even though many state gun laws are so lax that individuals with no background check or training can buy semi-automatic rifles and carry them openly, and loaded, in public. Plus, most Chipotle locations serve alcohol, setting up a potentially dangerous mix. Chipotle's response is just not good enough. They have a responsibility to keep their customers safe -- especially our children and families. Use the form on this page to sign the petition to Chipotle's CEO, Steve Ells, demanding a clear policy prohibiting guns in restaurants. Members of Moms Demand Action will personally deliver your message to the company’s headquarters. Please issue a policy prohibiting guns in your stores. You have a responsibility to keep your customers and employees safe from the risk of gun violence. Welcome back . Click here if that isn't you. 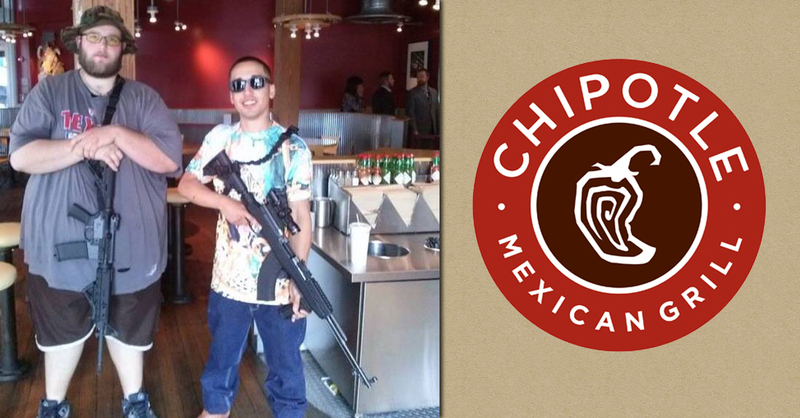 Angelique A. just signed the Burritos, Not Bullets: Send Chipotle a Message petition. Heidi R. just signed the Burritos, Not Bullets: Send Chipotle a Message petition. Katerino L. just signed the Burritos, Not Bullets: Send Chipotle a Message petition. Jamie D. just signed the Burritos, Not Bullets: Send Chipotle a Message petition. Gordon V. just signed the Burritos, Not Bullets: Send Chipotle a Message petition.